Chronicles of a Foodie: Starved. I know it's been TOO long. I've missed you website. I'd blame work for keeping us apart but that would be a lie. I've just been super busy. Here's a mini post...my lunch LIVE! 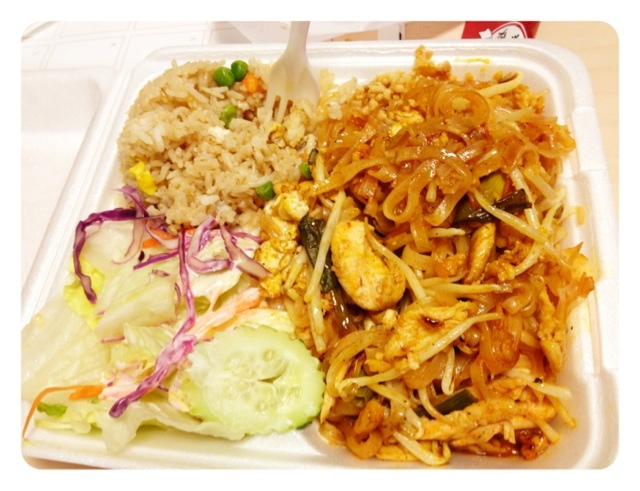 I was starving so I went to get my favorite food ever...THAI FOOD! Pad Thai lunch special with fried rice, salad and wontons for $6.95. It's huge too!